Affiliate Membership is comprised of people involved in the real estate industry, but who are not licensed Real Estate Salespersons or Brokers. 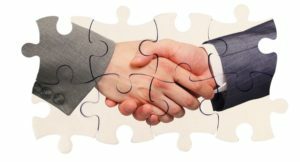 Business Partner membership in the Greater Baton Rouge Association of REALTORS® is designed for attorneys, lenders, appraisal companies, accounting firms, printers, newspapers, equipment suppliers, landscapers, moving companies, and any other businesses that would benefit from association membership. As a Business Partner/Affiliate, you can reach over 3,600 of GBRAR's members.  GBRAR is affiliated with the Louisiana REALTORS® and the National Association of REALTORS® and works to provide our members with the tools they need to remain successful. If you are interested in becoming a GBRAR Business Partner/Affiliate Member or Sponsor, please contact Jill Sylvest at Jill@gbrar.com. GBRAR regularly holds continuing education courses and seminars about all aspects of real estate…and the more you know about that, the more you can help our customers and clients. And that means more business for you! Membership opens a whole new world of business contacts through involvement in committees, classes, seminars, orientation, activities, and more! A wide variety of classes and programs, including monthly new member orientation, membership meetings, continuing education, networking, community service, awards banquets, newsletters, quarterly rosters and more are offered to our members throughout the year! Business Partners have the opportunity to reach GBRAR’s 3,600+ REALTORS® by sponsoring these events, as well as our member communications. Affiliate members who become "level" sponsors are automatically listed in our “Business Partner Directory” which is posted on our website and displayed on a banner residing in the GBRAR lobby. New Affiliate Members are also “welcomed” in an edition of our monthly eNewsletter! GBRAR distributes extremely popular eNewsletters weekly and monthly, as well as active social media channels to keep our members informed and updated on GBRAR’s activities, real estate issues, fellow members, and other hot topics. You are eligible for the Business Partner of the Year award - a prestigious honor in recognition of your volunteer efforts. Award winners are recognized in front of hundreds of GBRAR members at our annual awards gala as well as in local newspapers following the event. If your company does business in any real estate related field, then any government actions affecting real estate also impact you. REALTORS® help to bring about many beneficial changes by making their voices heard, and that helps your business, too! The most important part of GBRAR is its members. Without members, GBRAR wouldn’t exist. Only YOU can make GBRAR work for you by participating in activities and becoming involved. GBRAR is where you belong!